Nexzlink NL100 is New Generation Car Code Reader from Humzor Technology company. Nexzlink NL100 is the First Personal OBD2 Scanner with Resetting Function. Connection Channel：Bluetooth high-speed connection transmission. Vehicle Coverage: Most gasoline car (Japan, Canada, US, EU, etc. )with standard OBD2 DLC after 2000 till now (OBD2, CAN). Multi-languages：English, Chinese, Japanese, German, French, Italian, Russian, Portuguese, Spanish. 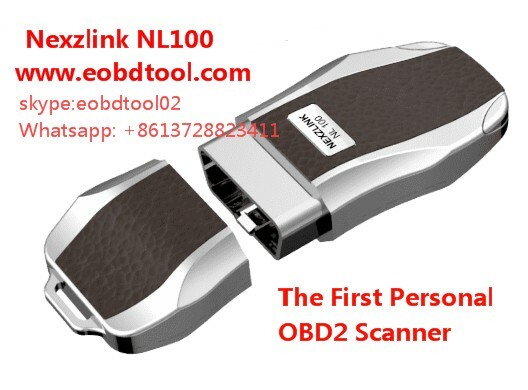 More Information about Nexzlink NL100 welcome to inquiry.